Best of 2009 Lists: Daniel Crokaert (Mystery Sea) & Headphone Commute. Back and forth, to and fro, gently rocking in the amniotic fluid of a humid night. Yann Novak recorded his bedside table fan on the first weekend he spent with his partner in his new Los Angeles apartment. Painterly effects are added, broad strokes with clumps of granular static, ringing, sustained and pleasant ambient washes, or tiny daubs of bright colour, as the drone of the fan is transformed slowly and repeatedly. Sometimes the results caress the ear, somethings they rub roughly against it, as Novak wrings as much energy out of the little machine as he can. ”Industrial art”, in a way, given its source. Returning to Infrequency for a solo stint is Yann Novak, clearly an obsessive-compulsive found-sound chaser. Once noticed, the auditory ebbs and flows of a fan oscillating in his bedroom were fair game for source material. Captured, the nuances of its respiratory rhythms and resonances, the natural overtones and harmonics, are teased out and tweaked by Novak; the sounds are most marked as air circulates and radiates, leading to tracts that eddy with activity. The equipment also seems to momentarily condense incidental tonalisms carried in the air, further adding textures and transitions. Novak opens the piece out with droning gradations of sound, that swell and diffuse, vaporising into the atmosphere, turned from base drone metal to glistening digitised gold. Novak slowly shifts his source text through numerous episodes into a 39-minute tone poem: immense clouds rumble as they swell, billow, and relent; rustling streams underpin upper-level, whistling drones; electrical tones resonate over a glimmering hum. Overall “The Breeze Blowing Over Us” is a fine exhibit of transformational power, mute hummings conjured into a richly layered emotionally suggestive composition. If one has a good idea for making music, that usually comes in the most unexpected situations of life. 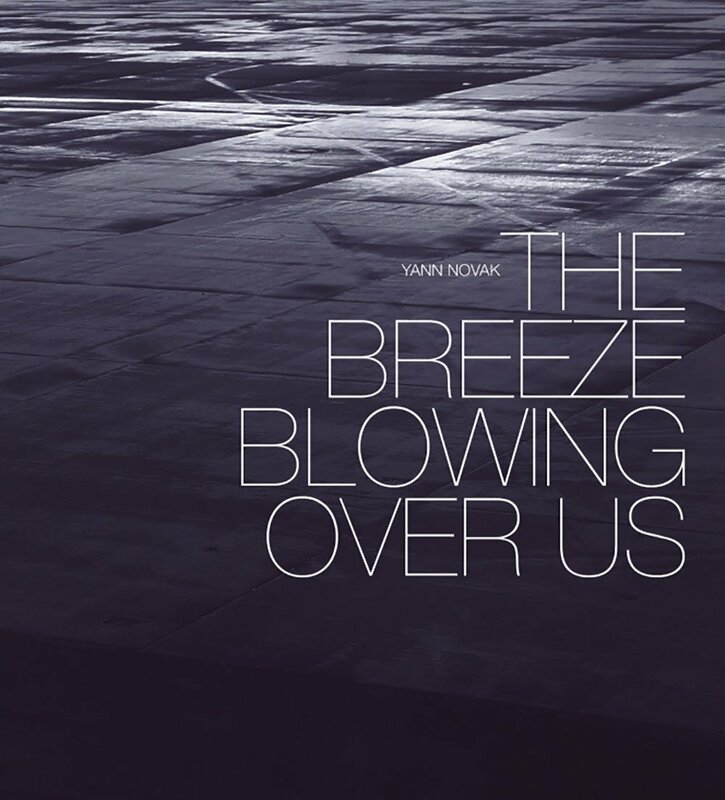 Such is the case of this pleasantly soothing release by label honcho Yann Novak who, together with his partner, was experiencing a torrid afternoon in Seattle in 2008, fighting the heat with a fan placed near the bed where they were lying. Evidently influenced by the hypnotic whirring of the appliance, Novak decided to create something serious with it, the result being an album whose extraordinariness lies in the relation between the extreme simplicity of the starting source and the complexity of thoughts that the resulting emanations elicit in the receivers. Lengthy reverberations – halfway through metallic auras and low-frequency spirals – self-regenerate in utter splendour, propagating in shadows, infinite air currents and whispered suggestions of immortality. Amidst these comforting atmospheres, separate materializations of electronic dignity interrupt the flux only for a few moments of additional reflectivity, adding further energy to an already rewarding concentration of luminousness. Beautiful, unpretentious, highly recommended. Between Yann Novak’s Dragon’s Eye and Jamie Drouin’s Infrequency, these guys have got it absolutely down to a tee. Fascinating sound works and art, lovely design and presentation and a series of most excellent releases. This 40 minute CD from Novak is based on the sound of a fan blowing on one of the hottest days of last year in Seattle. It’s true – the simplest things really are inspiring as this piece proves. Processing and refining the sound, Novak has delivered an exquisite work that conveys a shimmering sense of heat, yet retains a strangely cold and distant feel. It evolves through several different stages, from the initial build up of the fan sound into processed tones and textures that are intense, without being overwhelming. By the end, as you reach the low-end bliss of the final stage you’re left feeling exhilarated by this wonderfully self-contained piece. Looks greats, sounds amazing – what more could you ask for from contemporary minimalism? Superb. Audacious in its own way, the piece was recorded in Seattle on an extremely hot day in 2008; that the day also happened to be part of the first weekend he spent with his partner (Robert, one presumes, given the dedication on the sleeve) lends the recording an emotional dimension that otherwise would be less conspicuous. What makes the recording unique is that Novak used a simple recording of a fan next to their bed as the sole sound source, which he then transformed using digital processing into a full-blown, epic soundscape. It’s a prototypical exemplar of ambient sound sculpting with Novak slowly moving the thirty-nine-minute work through numerous episodes: immense clouds rumble as they advance and retreat in wave-like manner; rustling streams underpin upper-level, whistling drones; electrical tones resonate over a glimmering hum. That the amplified sound of the fan is also audible—or at least appears to be so—allows the listener to contextualize the material as it mutates through those contrasting episodes. The work is distinguished by its clean design, with its constituent parts meticulously woven into a seamless flow without a superfluous element in sight. Yann Novak schafft es tatsächlich, aus banalsten sonischen Artefakten des Alltags etwas Magisch zu kreieren. Ohne große Pretence, ohne große konzeptuelle Aufladung, sodnern einfach aus der Lust heraus, die uns alle umgebende Klangwelt bewußt aufzunehmen und auf ihre experimentelle Durchlässigkeit hin zu überprüfen. The Breeze Blowing Above Us ist demnach nicht ein neuer großer Wurf; in fact: jemand könnte äöhnlcihe Resultate erzielen, wenn er einfach das Kühlgebläse des heimischen PCs mitschneiden würde. Darum geht esa aber nicht: Novak tut ja genau solche Dinge, nicht um zu zeigen, was für ein toller Hecht mit abgefahrenen Ideen er ist, sondern welcher klangliche Reichtum im Grunde ungenutzt versiecht. The Breeze… lebt von der Info, dass der Tag der Aufnahme ein besonders schwüler gewesen sei, mit dräuenden Gewittern am Huimmel über Seattle. Und zweitens von der Anmerkung, dass Novak an jenem Wochenende erstmalig mit seinem neuen Partner das Bett teilte und die Klänge auf den rotierenden Fan in ihrem Liebesnest zzurückgehen. Okay, DAS wäre vielleicht entbehrlich gewesen, schließlich ist der Mann doch nicht Kid Rock, oder was?! There are few of us in the experimental community that haven’t passed a supermarket refrigrator, or perhaps a central heating duct without actively resisting reaching out for the recording equipment to capture and harness all the sonic possibilities yielded by the depth and tonality of electrical or electro-mechanical equipment. Likewise Yann Novak, who whilst residing with his partner, noticed the swirling auditory ebbs and flows of an oscillating fan in their bedroom. Upon recording the fan, Novak tunes in to the nuanced respiratory rhythms and cadences, the natural overtones and harmonics being the most pronounced in this type of equipment, as air circulates and rotates, creating tracks and eddies alive with activity. At times, the equipment also appears to momentarily condense incidental tonalisms carried in the air, further adding textures and transitions. Novak then opens the piece out with drone like gradations of sound, that swell and diffuse, vaporising like steam into the atmosphere. Essentially, this is a drone workout, but in the hands of one of its most proficient exponents, becomes a glistening, precious sound work, unrivalled but by a handful of contemporaries. Novak has seemingly taken an obvious source sound, and with an exploratory and majestic treatment transmuted it into sonic gold. Masterful. Recorded in Seattle on one of the hottest days of 2008, The Breeze Blowing Over Us documents the first weekend Novak spent with his partner, transforming a simple recording of a box fan over their bed into a richly layered composition exploring the overwhelming feelings that come from finding love. This is Novak’s first solo release on Infrequency and an extremely fine example of his technique for transforming a simple environmental recording into a richly layered, and emotionally tense composition.